You know what they say: One is an anomaly, two is a coincidence, three is a trend. What about four? That’s how many leading commentators have weighed in over the past week with astonishingly gloomy prognoses about Israel’s future. They come from both left and right. The consensus is that the Jewish state is on the brink of a precipice. The rightists seem to think there’s nothing Israel could do about it. The leftists say Israel could adjust its policies to respond to the changing realities in its region, but they don’t think Benjamin Netanyahu is likely to do it and they don’t see a more flexible, pragmatic government getting elected any time soon. The titles include “Can Israel Survive?,” by neoconservative strategic affairs analyst Victor Davis Hanson, in the September 22 National Review Online; “Is Israel Over?” by Israeli dove-turned-hawk historian Benny Morris, in the September 11 Daily Beast; “Israel: Adrift at Sea Alone” by Thomas Friedman in the September 17 New York Times, and “Digging in, the essence of Netanyahu’s foreign policy” by Haaretz editor-in-chief Aluf Benn, which was published in his paper’s September 16 weekend edition and has since been quoted, analyzed, dissected and massaged in dozens of journals around the globe. 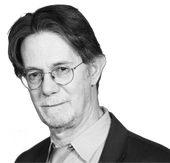 This story "From Right and Left, Forecasts of Israeli Doom" was written by J.J. Goldberg. The years-long diplomatic effort to integrate Israel as an accepted neighbor in the Middle East collapsed this week, with the expulsion of the Israeli ambassadors from Ankara and Cairo, and the rushed evacuation of the embassy staff from Amman. This is the lowest point in Israeli foreign policy since the groundbreaking visit to Jerusalem by Egyptian President Anwar Sadat in 1977. The region is spewing out the Jewish state, which is increasingly shutting itself off behind fortified walls, under a leadership that refuses any change, movement or reform and is dealing with debacle after debacle. the more powerful periphery of the Middle East — the Shah’s Iran, Kemalist Turkey, a military-run Pakistan, and the Gulf monarchies — was mostly uninvolved in the Israeli-Arab frontline fighting. Not now. A soon-to-be-nuclear Iran serially promises to destroy Israel. The Erdogan government in Turkey brags about its Ottoman Islamist past — and wants to provoke Israel into an eastern-Mediterranean shooting war. Pakistan is the world’s leading host and exporter of jihadists obsessed with destroying Israel. The oil-rich Gulf states use their vast petroleum wealth and clout to line up oil importers against Israel. The 21st-century United Nations is a de facto enemy of the Jewish state.Meanwhile, the West is nearly bankrupt. The European Union is on the brink of dissolving, its population shrinking amid growing numbers of Islamic immigrants. America is $16 trillion in debt. We are tired of three wars. Morris adds a third dimension: the Israeli domestic scene. Israel suffers from a steady brain drain, with tens of thousands of university graduates and wannabe academics moving abroad for lack of adequate positions or pay. …Today’s Israel has a burgeoning economy, driven by sophisticated and internationally competitive high-tech industries, and a population driven mainly by individuals who want the good life. They see that too much of the national pie goes both to the West Bank settlers (who tend to be religious and ultranationalist) and to the ultra-Orthodox (who contribute almost nothing to the economy and avoid mandatory military service). …The other side of the coin: Israel’s own Arab minority is emerging as a potential major problem, too. The Israeli Arab landscape is increasingly dominated by minarets and veiled women; and its leaders, identifying with their Palestinian cousins outside, vociferously call for Israel to shed its character as a “Jewish state” and give its Arab citizens collective minority rights and perhaps some form of autonomy. Netanyahu is creating a series of bureaucratic salves for the country’s economic ills. But they will be swamped, and rendered irrelevant, in the tide of Palestinian activism and anti-Zionism that will be set off by the Palestinian statehood bid. It will then trigger shock waves around the Arab and Islamic worlds. Months ago, Ehud Barak predicted that Israel will face a “political tsunami.” Here it comes. What could Israel do to turn things around? Well, you’ve heard me say this before, but it’s still true: Israel’s military and intelligence establishment — the folks who are paid to know what the Arabs are up to and how Israel can defend itself—are becoming more and more vocal about the one thing they unanimously believe could take the steam out of the Arab drive, or at least put the blame for the deadlock on the other side: Find a formula that brings the Palestinians back to the negotiating table. also state that while changes in the Arab world could be a threat to Israel, they also represent opportunities for Israel to improve its diplomatic standing.